Ohio State beating Wisconsin ultimately didn't matter. Following Saturday’s conference championship games, the prominent question remaining for the 2017 College Football Playoff was who the fourth team would be. Ohio State’s victory over Wisconsin in the Big Ten title game sent projections for that final bid into chaos, opening the door for several teams with worthy resumes. 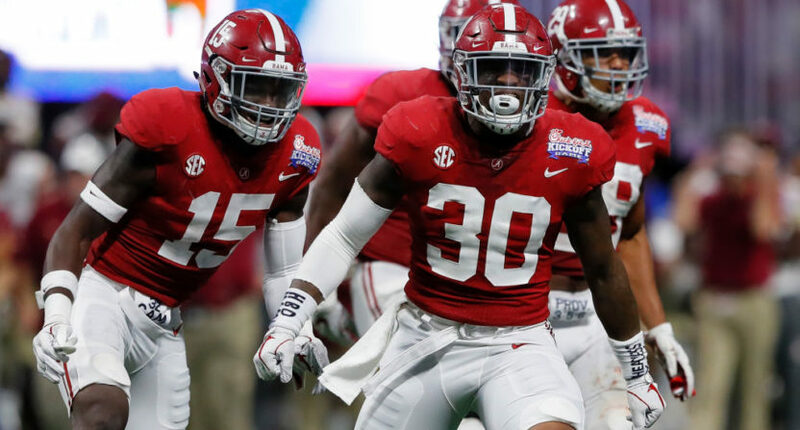 In something of a surprise (especially for Buckeyes fans), the CFP selection committee named Alabama as the fourth team in the championship quartet. Apparently, the committee wasn’t impressed enough by the Buckeyes’ 27-21 win over the Badgers, nor by their overall regular season body of work, which included losses to Oklahoma and Iowa. ESPN analyst (and Ohio State alumnus) Kirk Herbstreit briefly walked off the set upon hearing the announcement. The Crimson Tide, meanwhile, only had one loss on their resume (to SEC runner-up Auburn) and were considered the No. 1 team throughout the regular season. However, Alabama wasn’t always No. 1 for the CFP committee, earning the top spot in two of the five rankings released. And plenty of people will note that the Tide didn’t win its conference, unlike Ohio State. As expected, the other three teams in the College Football Playoff quartet are ACC champion (and reigning national champion) Clemson — who also earned the Playoff’s No. 1 seed — Big 12 champion Oklahoma and SEC champion Georgia. So the College Football Playoff lines up like this: No. 1 Clemson will face No. 4 Alabama in a national championship rematch (and for the third consecutive year) in the Sugar Bowl. In the Rose Bowl, No. 2 Oklahoma is matched up against No. 3 Georgia. “The selection committee looked at a one-loss Alabama team, that one loss coming against the final ranking No. 7 team, Auburn, in a very competitive game,” said Kirby Hocutt, chairman of the College Football Playoff selection committee. Two SEC teams in the Playoff will certainly be controversial for many fans and media. The Big Ten being excluded from the foursome definitely raises an eyebrow. But had Wisconsin beaten Ohio State in the conference championship game, an undefeated Badgers team almost certainly would have been the fourth team in the mix. Judging from Hocutt’s remarks, Ohio State’s victory had no bearing on the committee’s decision. That Iowa loss was too large a stain on their resume. However, ESPN’s Rece Davis asked Hocutt if the Big Ten’s past performance in the Playoff had any influence on excluding the conference from the final four teams. Ohio State being that team last season, earning a Playoff spot despite finishing behind Penn State and not playing in the Big Ten championship game, is surely little consolation. Whether or not the committee decided not to give the Buckeyes that kind of break for the second consecutive year is something only Hocutt and his fellow members know for sure.